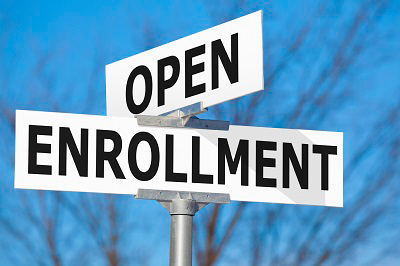 The Open Enrollment Period for 2016 begins on November 1, 2015. We’re now most of the way through 2015 and the effects of the Affordable Care Act (ACA) continue to be felt. Earlier this year, the Centers for Medicare & Medicaid Services (CMS) reported that the U.S. Department of Health and Human Services (HHS) exchanges finished the 2015 enrollment period with 46 percent more registered agents than they had a year earlier. CMS is reaching out to agents and brokers who want to work with the HealthCare.gov exchange system for the 2016 plan year. In years past, producers had to go through separate systems to get their exchange producer ID and complete exchange producer training. Now they’ll be able to get that information through the same system. All new and returning exchange producers will have to register with the new training system once it is up and running. Training is expected to average just 25 minutes per agent at a rate of $35.30 in cash and fringe benefits per hour. When it comes to consumers, the National Health Interview Survey reported that the national uninsured rate had dropped by about one-third to a historic low of 9.2 percent, with 15.8 million people gaining coverage since the ACA’s marketplaces opened in late 2013. Also, more states have expanded Medicaid and more people have signed up for new private coverage. Employer coverage remains steady despite some choosing to no longer offer their workers coverage. A recent census report found that there was no statistically significant change between 2013 and 2014. But after this year, health plan sponsors will only have two more years before they confront the “ACA Cadillac Tax” programmed into the ACA. Internal Revenue Code section 4980I states that this tax, which will go into effect in 2018, amounts to 40 percent of healthcare spending above $10,200 for single coverage and $27,500 for family coverage. This tax is expected to cost U.S. employers about $3 billion and grow in the following years, according to a report in August by the Congressional Research Service. The tax also applies to third party insured and self-funded plans as well as governmental plans and coverage that provides health insurance to self-employed individuals. The purpose of the tax is to lower healthcare costs by counteracting part of the tax exclusion for employer sponsored plans, although many critics believe that will lead to overconsumption of health benefits. A number of insurers have been forced to increase premiums to cover the higher-than-expected claims during the first two years of the ACA from people in need who signed up for individual policies. A number of states were able to keep rate increases down while others have yet to make a decision. The Obama administration said that for the current year, about half of the users who signed up on HealthCare.gov returned with half of those switching insurance providers and the other half opting to stay with the one they had. They also said that they would automatically renew the coverage of people who signed up on the site last year and don’t come back until December 15th of this year. Overall, the number of uninsureds in the U.S. since the ACA was put into law has dropped for a variety of reasons. The ACA’s private health exchange has benefited a number of Americans who could not afford health insurance in the past while others will criticize how complicated it is to shop for coverage, as well as higher premiums and taxes. Agents and brokers will now be better equipped to help consumers sign up for new coverage or makes changes to their current plan. Only time will tell how this system has truly affected the insurance landscape. 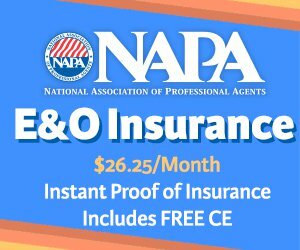 Good news for NAPA brokers and agents! We will be rolling out our own Private Exchange where you be able to have a seamless shopping experience to obtain health coverage and other related benefits for you and your family. Stay tuned for further details as we move closer to the 2016 open enrollment beginning on November 1st.